The Kerala government, in an unprecedented move, has allotted Rs 3 crore to women filmmakers of the Malayalam film industry. The allocated amount was announced by the Kerala Finance Minister Thomas Issac while presenting the 2019 annual budget for the state. According to sources, the amount has been allotted to the filmmakers after the Women in Cinema Collective (WCC) submitted a proposal to the government highlighting the issues faced by women in the industry. Noted film-editor and co-founder of WCC, Bina Paul told The News Minute, "We are happy that the government has taken such a decision. This is a first for any government in India. We have only heard of the European Union and Sweden government announce such schemes in the past. We realise it is a very small amount. But this amount could help at least a few women. These days, documentary makers make films in Rs 30-40 lakh and this amount could be subsidised for them, without compromising on quality. Therefore, such token amounts are important." 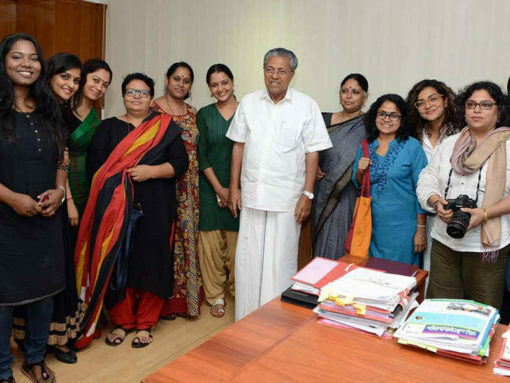 WCC is a collective of women working in the Malayalam film industry. It includes directors, assistant directors, technicians, artists, makeup artists etc. and presently has a core of 20 members. The collective was formed in 2017 after a female actor in the industry was abducted and sexually harassed. After the police enquiry, it was found that her colleague and a well-known actor of the film industry, Dileep, was involved in her abduction. Rather than supporting the actress, the Association of Malayalam Movie Actors (AMMA) stood with the accused. Subsequently, a group of women from the industry formed this collective. The formation of WCC has opened up the gates for discussion on issues of gender not just within but also outside the industry.